Update: B&H now has the lenses back in stock. Starting today Zeiss is offering $800 off when you buy both the 32mm f/1.8 and 12mm f/2.8 Zeiss Touit lenses for Fujifilm X-mount or Sony E-mount. This is basically buy one, get one free deal. 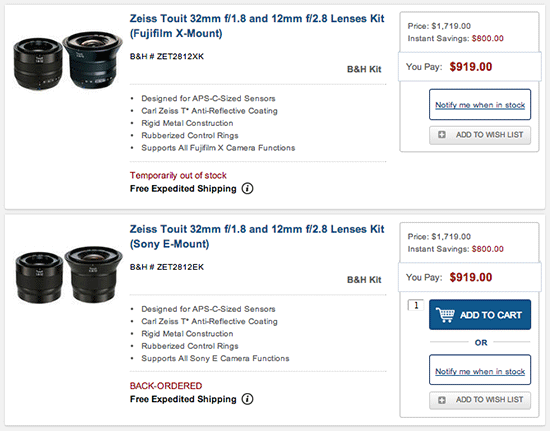 Adorama currently has the same offer. The individual lenses are also $200 off.